Animals, people and cameras can make for a wild unpredictable combination, as this set of bloopers demonstrates. First up is the legendary 1989 clip of rugby star Zinzan Brooke falling off a spooked Shetland pony in Wales. Back on Kiwi soil, Dexter the golden labrador refuses to listen to owner Mark Leishman. 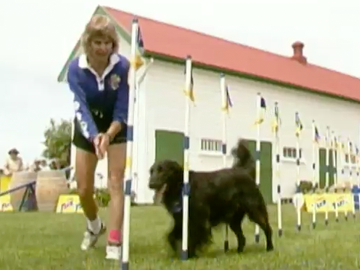 A hare and dog take over a trotting track and cricket pitch, while reporters doing their pieces to camera are harassed by a friendly horse and overzealous ostriches. Plus two pigs give Country Calendar reporter John Gordon the giggles. 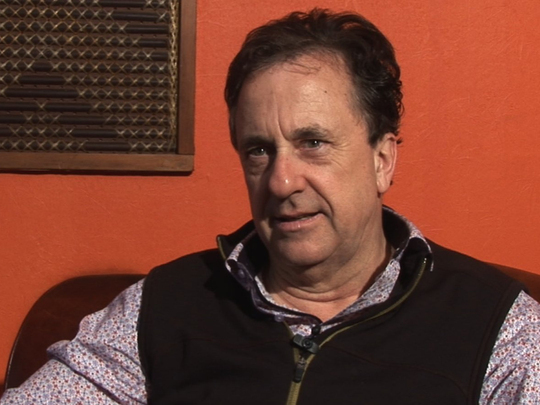 Long-time television and radio host Mark Leishman began his TV career as a continuity announcer, and then moved on to regional news show Today Tonight. Over the years Leishman has appeared on a number of hit shows including Top Town, That’s Fairly Interesting and Tux Wonder Dogs. As well as presenting, he has also directed documentaries such as A Friend For Life and Kohi: A Guide For Life. Radio and TV host Jim Mora began his career reporting for regional news show The South Tonight. 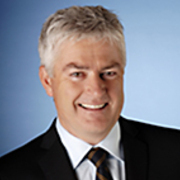 From there, he moved on to One News and then joined Holmes when it debuted in 1989. 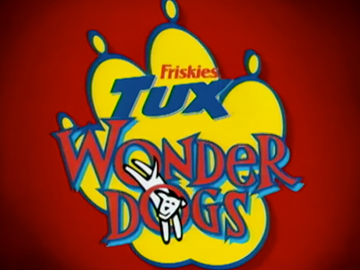 Over the years Mora became a household name voicing and presenting popular shows including Tux Wonder Dogs, Maggie’s Garden Show and the long-running Mucking In. 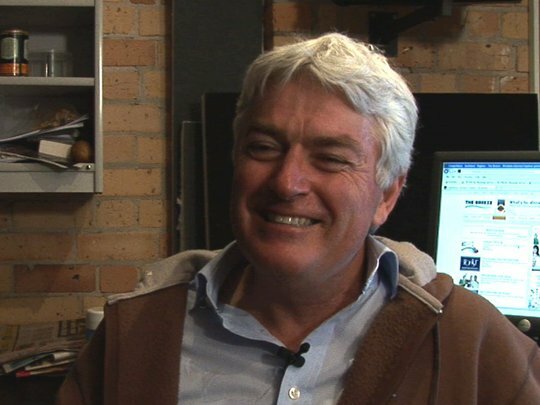 Mora was also involved with the creation of animated TV shows The Adventures of Massey Ferguson and Staines Down Drains, and is a regular host on RNZ National. Tessa Tylee has over two decades of television credits, including six seasons of community hero garden renovation show Mucking In. She begun on the coffee run on factual series Heroes and worked her way up to helm documenaries on rally driver Possum Bourne and actor Kevin Smith. These days Tylee runs her own production outfit, Alice in Television, from Hawke's Bay. 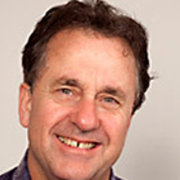 Presenter, narrator, producer, director: Mark Leishman has done many things over his long broadcasting career. Starting out as a continuity announcer before moving to regional news. 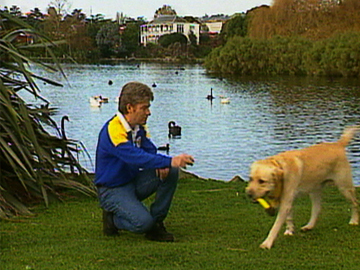 Leishman went on to make or host some of New Zealand's best-loved shows, including Top Town and Tux Wonderdogs. Animal shows featured heavily in his CV, along with sport and game shows. 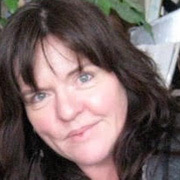 After writing for children's staples Play School and What Now Fiona McKenzie was a journalist on CTV, before training as a director at South Pacific Pictures. As a freelancer she has directed a variety of TV shows — from comedy (Letter to Blanchy, Comedy Central) to non-fiction (Epitaph, The Way We Were). 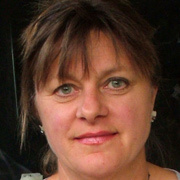 During a 12-year stint in South Canterbury, McKenzie taught screen production and made films for local museums and galleries; she also directed movie romance The China Cup (2009), which won extended runs in local cinemas. These days living in Christchurch, she continues to make films for varied clients.